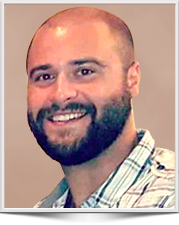 Scott is an environmental geologist with over two years consulting experience as a due diligence project manager and limited site remediation assistant. Committed to his clients, he is highly skilled in project management, technical writing, client communication, site characterization and remediation reports, aerial photo review, field exploration, environmental safety, and interpretation of subsurface conditions and relevant geologic conditions from field and laboratory data. Scott prepared Phase I environmental site assessment reports as part of the due diligence associated with several real estate transactions. Scott provided field oversight for clients that was associated with investigative and remediation activities at various project sites. Scott worked for several clients conducting field work including soil, sediment, groundwater and surface water sampling, aquifer testing, drilling oversight and soil logging, soil boring and monitoring well installation, well development, and purging and sampling. Committed to his clients, he frequently communicates with regulatory agents, tenants, and clients throughout the field activities.